Joint Archaeological Survey Department of Anthropology field school excavations of Structures 19-21 at Spiro in 2014. View of the upper level of the Ravenscroft II bison kill site bonebed. This bison kill site dates to the late Paleoindian period around 10,200 years ago. 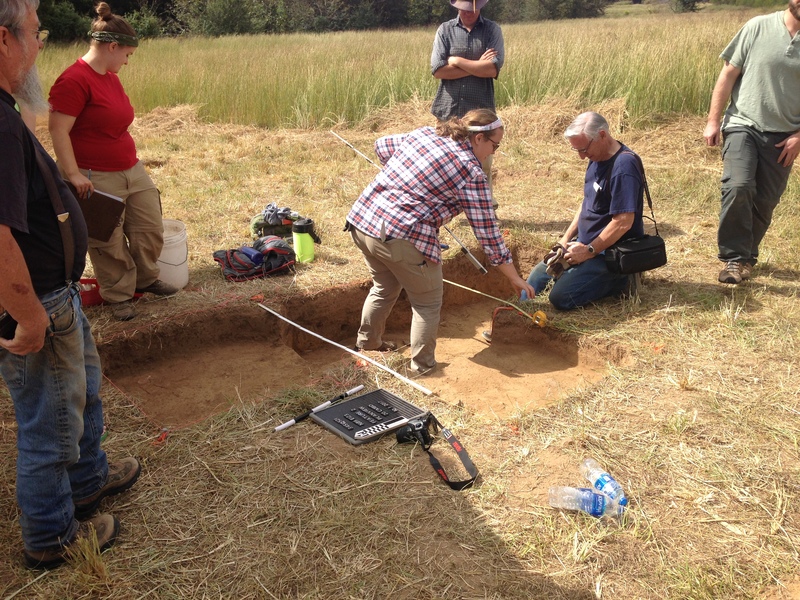 Survey faculty and graduate students excavating Structure 18 at Spiro in 2013. View of the Cimarron River valley from Black Mesa, Cimarron County, Oklahoma. Survey researchers have conducted site surveys and testing of sites in the Black Mesa region since 2014, and have located many significant archaeological finds, including rock shelters and rock art sites. Closed January 21st, 2019 for Martin Luther King, Jr. Day. To research Oklahoma's archeological record; to work with state and federal agencies, and the citizens of Oklahoma to preserve significant archeological sites; and to disseminate information about Oklahoma's cultural heritage through publications and public presentations. 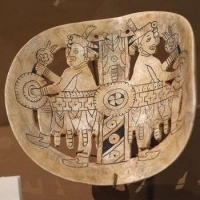 Oklahoma Archeological Survey's Scott Hammerstedt comments on the potential for undiscovered sites and artifacts in the State of Oklahoma in this article from the Tulsa World. 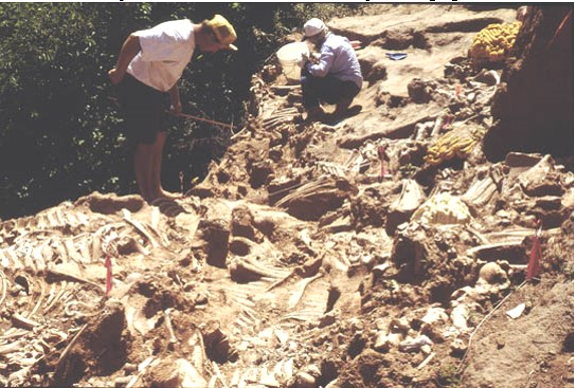 This year marks the 25th Anniversary of the first excavation at the Cooper Site in Harper County, Oklahoma. This extraordinary site has given us rare insight into Folsom hunting practices and rituals. To celebrate the Oklahoma Archeological Survey will be hosting a free public lecture by Dr. Leland Bement entitled 25 Years of Cooper: Folsom Bison Hunting and Beyond with a reception to follow. Please join us Tuesday, October 16th, 2018 at 7pm in the Robert S. Kerr Auditorium of the Sam Noble Oklahoma Museum of Natural History to hear more about this exciting research! You can read more about this marvelous site by clicking here. This event will take place just north of Spiro Mounds in Muldrow, Oklahma. Returning for a second year, we are excited to uncover more about Oklahoma's past. Join us for a long weekend for this year's Fall Dig! The Oklahoma Anthropological Society will be hosting this four-day long excavation, with assistance from the Oklahoma Public Archaeology Network, and guidance from Dr. Scott Hammerstedt. Ages 10-16 are welcome to participate with adult accompaniment, while everyone is welcome to attend, ask questions, and learn more about archaeology. For further contact information and details, click here. We hope to see you there!